The International Monetary Fund (IMF) on Wednesday warned that rising public debts in emerging economies may constitute a direct risk to financial stability. The IMF Financial Counselor and Director of the Monetary and Capital Markets Department, Tobias Adrian, disclosed this during the Global Financial Stability report presentation at the ongoing IMF/World Bank Spring meetings in Washington. According to him, short-term risks to financial stability had increased, and medium term risks remained high, while vulnerabilities in global markets might make the road ahead bumpy and put growth at risk. “Rising foreign debts remain a big risk to financial stability. The debts that are accumulated quickly are deteriorating and could pose financial stability crisis in the future in emerging markets,” he said. Mr Adrian said also that the Fund had continued to track debt issuance programmes in emerging markets which Nigeria belonged to, and that bank-dollar liquidity mismatches also remained a concern. He explained that the international US-dollar balance sheets of non-US banks rely on short-term or wholesale sources for about 70 percent of their funding. He explained that the practice could leave banks exposed to dollar funding problems in the event of strains in markets. “Our growth risk analysis which links financial conditions to the distribution of future global growth indicates that, under a severely adverse scenario, growth could be negative three years from now. “Stretched valuations across many asset classes, borrowing by emerging markets and low-income countries and bank-dollar liquidity mismatches remain vulnerabilities,” he said. Mr. Adrian also said issuance of riskier bonds had surged, while debt sustainability in emerging markets and low-income countries deteriorated. He said this had created a more complex creditor composition challenges for any future debt restructuring. According to him, the IMF foresees a rise in inflation which might lead to a sudden tightening in financial conditions and a sharp fall in asset prices. He advised central banks to continue to normalize monetary policy and communicate their decisions clearly while addressing financial vulnerabilities by strengthening fundamentals and building buffers. Similarly, IMF’s Director, Fiscal Affairs Department, Victor Gasper, who spoke on the Fund’s latest Fiscal Monitor report, said public debts were at a historic high in emerging markets and had been associated with fiscal crises. He added that debt servicing was also rising in countries with high inflation rates. He said there was no room for complacency, and that countries should strengthen their tax capabilities and deploy the resources in funding health, education and public infrastructure. Mr. Gasper said countries would be better placed to tackle the looming risks if they built strong public finances in good times. 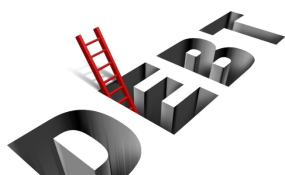 According to information on the website of the Debt Management Office (DMO), Nigeria’s total public debt stands at N21. 7 trillion. A breakdown puts the Federal Government domestic debt at N12.58 trillion and the domestic debt of states and the FCT at N3.34 trillion. The external debts of the Federal Government, states, and the FCT stand at N5.787 trillion. The Minister of Finance, Kemi Adeosun, said the country’s rising debt profile was nothing to worry about as “the borrowings were for financing capital expenditure to stimulate the economy”.